The truth is that Noah, a sinner, was a recipient of God’s grace, God’s favor. He did NOT find grace because he was a righteous man and we do not get grace by being righteous. Grace does not come through our works. God’s grace is not grace if it is earned. It is a free gift from God. So Noah and his family were rescued from the coming flood, but not because of his righteousness but because of God’s grace. 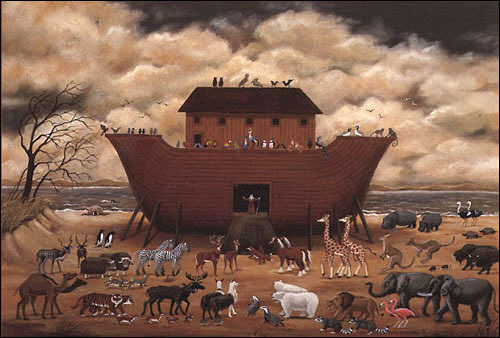 Noah was far from perfect. In fact, in tomorrow’s reading, we will see that even after God rescues his whole family and makes a covenant with him, Noah plants a vineyard and got drunk and naked. You see, we all need grace! Posted in Devotionals/Commentaries, Genesis, JanuaryTagged "Noah Found Grace In The Eyes Of The Lord", Bible, Bible daily, Bible reading, Bible study, daily Bible, Genesis, Pam Larson, Scripture, We all need grace!